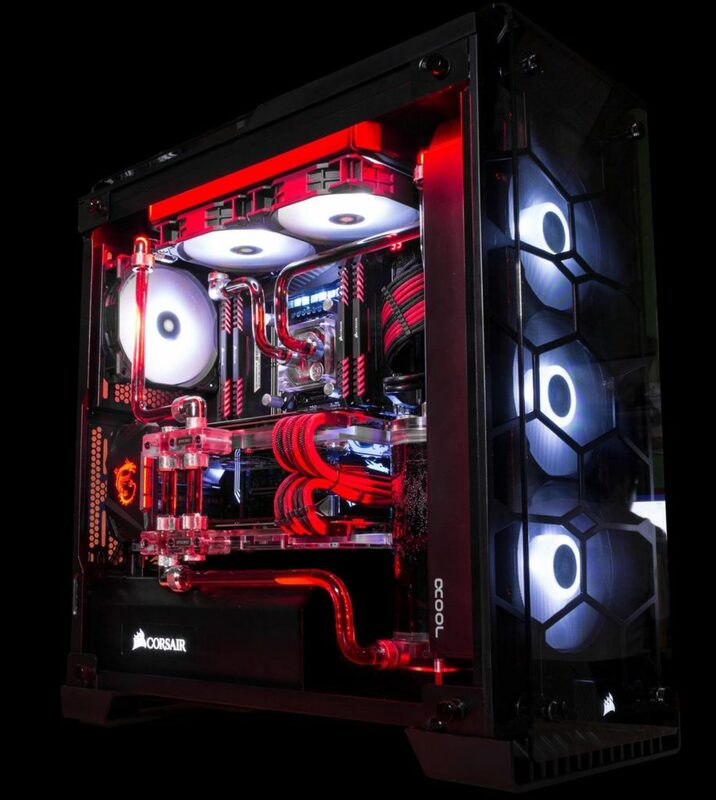 Part of the reason why I make guides on PC building is because many forums and Youtube channels online are full of enthusiasts advising beginners to buy very expensive PC parts which may be suitable for their preferences and needs but are way overkill for the needs of most people. For a while, there has been a culture on the internet about building the most powerful machine with the best specs regardless of real-world benefits. This unfortunately results in many people wasting their hard-earned money on purchases which don’t help them very much. I want to clarify that I’m not condemning all enthusiasts. A fraction of enthusiasts can either well-afford expensive parts or use their PC for seriously high-end professional work. If you’ve been in the PC building/upgrading hobby for a while and you’re passionate enough about it to want to invest more in the parts, there’s nothing wrong with that. But beginners may have buyers remorse if they buy all of these high-end enthusiast parts and realize that they aren’t THAT passionate about it. People’s needs are different. A 4000 calorie diet is good for a professional mountain climber but not for a 70 year old woman. * Beyond 8GB RAM for gaming. * Beyond 16GB RAM for most content creators. * High-end CPU’s for gaming on 60 Hz monitors. * High-end CPU’s for the most casual content creators. * Spending $700 on a “future-proof” video card. * Spending hundreds more to game with all Ultra settings turned up. * Buying a big expensive air cooler for builds that don’t overclock much. * High-end “gaming” mouses, “gaming” keyboards, “gaming” chairs, “gaming” headsets. Many people drool over the fantasy of having a system with an i7-8700k and a water cooled GTX 1080 Ti. However, quite a few people with extremely powerful systems have told me that most of the games they enjoy aren’t overly demanding and in numerous cases, they would just buy highly demanding games like Crysis 3 just to test if their CPU/GPU can run at the game at Ultra settings at a high frame rate. And then, after 5 minutes they would close the game. Spending thousands on gear just for bragging rights and not for actual enjoyment of the game doesn’t make sense. On the content creation side, it’s not uncommon for people to buy a $300 Ryzen 7 1700 CPU for intense video editing, and then end up only doing light video editing and mostly using their computer for video gaming. For people who are passionate about content creation, have experience with it and have strong work ethic toward their artistic projects, a great CPU is absolutely worth it. However, part of the overkill PC Building culture involves enthusiasts justifying their high-end purchases with the intention of being serious 4K video editors. Much like people who buy expensive music instruments and then never practice, there’s an important lesson to be learned in centering your computer part purchases based on what you have the time and will to do rather than what you fantasize about doing but aren’t truly passionate about. Why do PC enthusiast communities put so much emphasis on going overkill over practical real-world benefit? These are the reasons that I’ve personally surmised. 1) Fear of obsolescence. Enthusiasts want the security of knowing that their build is still going to be relevant in 10-15 years. This certainty doesn’t exist. No matter how much you spend right now, whether you go mid-end or high-end, computers in the next 10 years are going to better. 2) Keeping up with the Joneses. Many people want to have high-end builds just for the bragging rights of saying that they have a more powerful system than 95% of people. Egotistical reason, mostly. Much like buying the latest purses and shoes, enthusiasts want to have the new, modern and cutting edge for their PC’s. 3) Compensating for have-nots. When people are deprived, they fantasize about expensive things to try to compensate in the future. Someone with a broken-down 1997 Toyota may fantasize about driving a Lamborghini when they would probably only need a 2012 Toyota to be happy. Back when I only had a laptop of integrated graphics, I used to drool over builds with a GTX 1080. Now, I have a build with a GTX 1060 and I’m perfectly happy with it. Overall, there’s nothing wrong with wanting some degree of aesthetic enjoyment and pride in having an advanced build. But I also think it is important to be truthful to beginners that high-end systems are mostly built for personal reasons rather than performance reasons. Next articleHalf-Kitten, Half- & Adorable Kitten – MTG Card of the Day – Twofer!